Need some stuff for your soldering job? Look no further! We have a large range of solder, Soldering Irons and Accessories, so if you’re looking for something to finish your stained-glass piece, soldering metal sheets together, fixing appliances, making jewellery or even mending spare parts, we’ll have what you need. 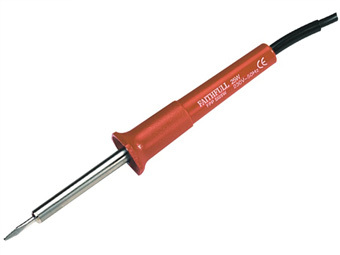 With battery, propane and mains-connected options, our soldering irons will cater for heavy duty jobs and those that need a bit of finesse. Whether you’re a professional metalworker, mechanic, hobbyist or DIY-er, we’ll have the soldering irons and accessories for you. Take a look at the full range to see exactly what’s on offer.